Dark Hall Mansion is celebrating Christmas a little early this year when they drop these fantastic officially licensed The Year Without A Santa Claus prints by Dave Perillo! Featuring Heat Miser and Snow Miser, these awesome retro posters are based on Rankin-Bass’ iconic 1974 stop-motion animated television special. 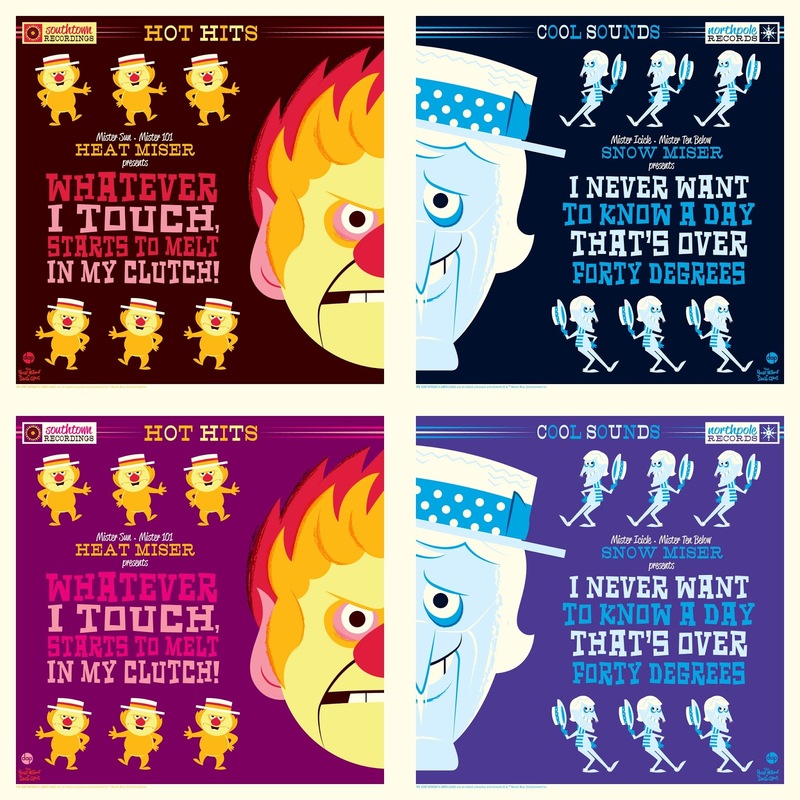 Along with Perillo’s banner style The Year Without A Santa Claus screen print, he has also created two vintage LP album cover prints inspired by the amazing and unforgettable singing stand-off between the Miser Bros. The Year Without A Santa Claus LP Album Covers by Dave Perillo are 12”x12” hand numbered giclee prints featuring Snow Miser and Heat Miser. Sold only as 2 print sets, these LP Album Covers will be available in two editions. The Standard Edition is limited to 280 sets and will retail for $65, while the Variant Edition is limited to 50 sets and will retail for $85. 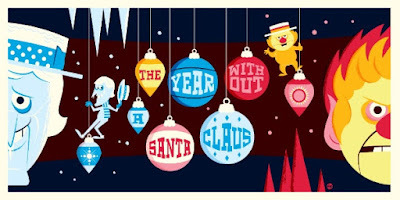 The Year Without A Santa Claus Banner by Dave Perillo is a 12”x24” hand numbered giclee print. Limited to just 50 pieces, this print will retail for $75. All three releases will go on sale at 12:30pm PST this Thursday, August 17th, at the Dark Hall Mansion online store.